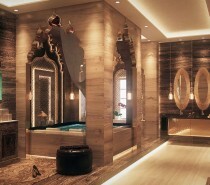 Imagine the frothy feeling of a warm bubble bath against your skin. The feeling is decadent and relaxing. Now, what do you see when you open your eyes? 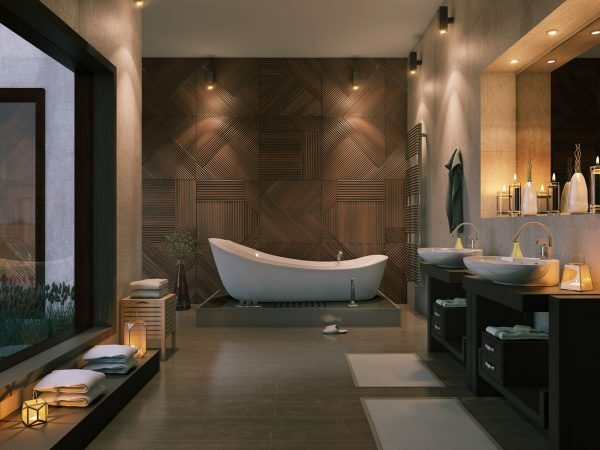 If your existing bathroom decor doesn’t reflect that image, or evoke that same pampered feeling, then perhaps it’s time to reassess your surroundings. 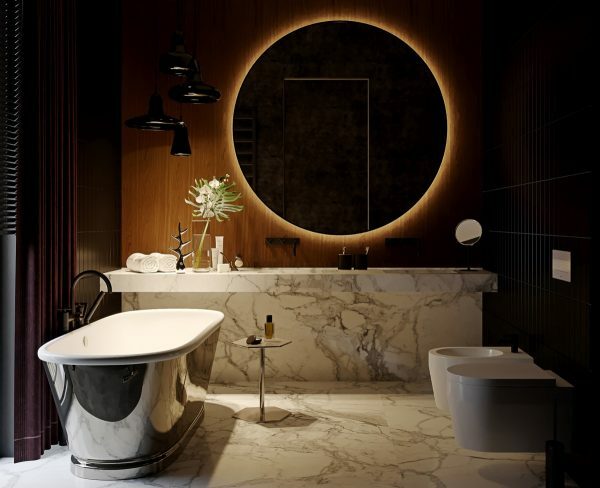 This extensive collection of 50 luxury bathrooms is filled with high end inspiration on how to create yourself a truly sumptuous space. 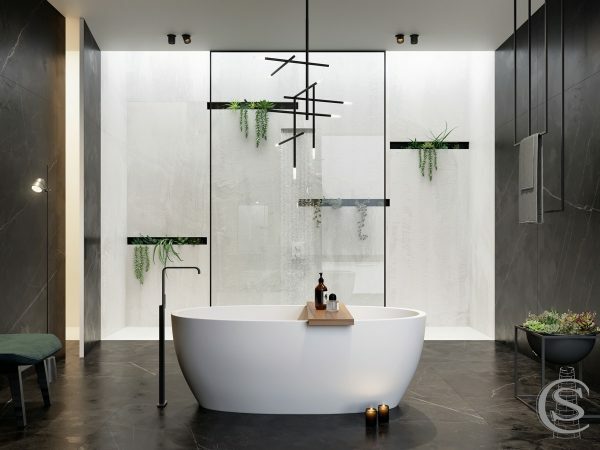 From show stopping bathtubs and sleek vanity units, to enviable bathroom decor and carefully curated accessory ideas, this gallery of images and tips has you covered. Frame your hero piece. 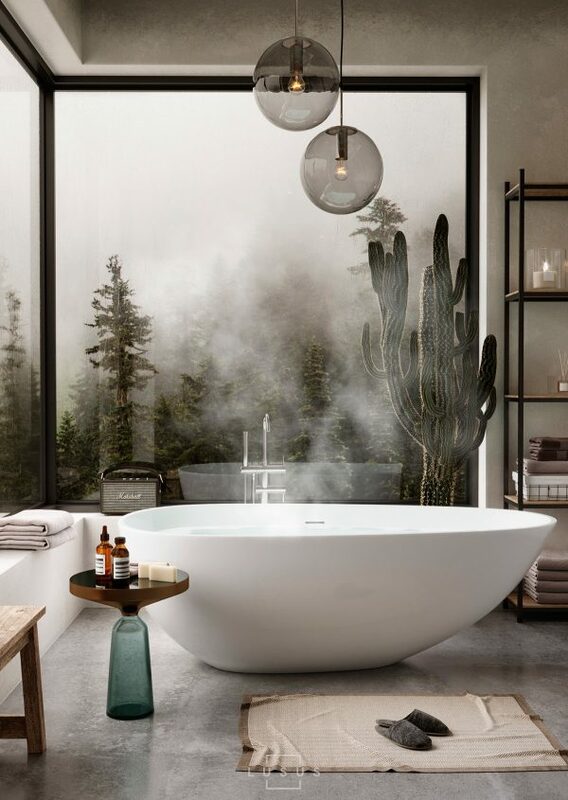 Two unique plant stands frame an elegant freestanding bathtub. Blur the border between a garden and a bathroom. 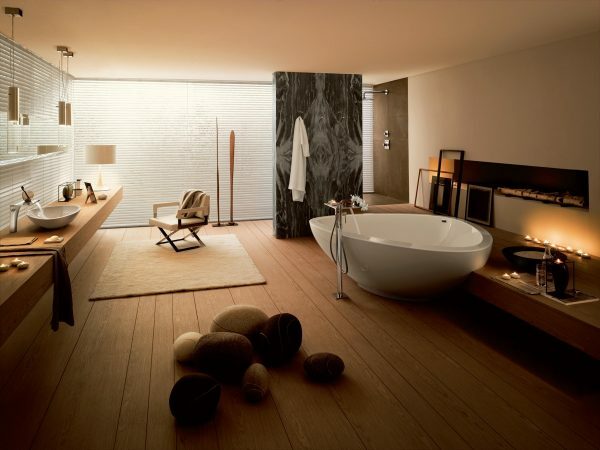 Standing a bathtub on a floor of pebbles creates a natural flow between inside and outside spaces. Grow an indoor garden of potted plants with long fronds to keep the theme going. Create a tree mural. 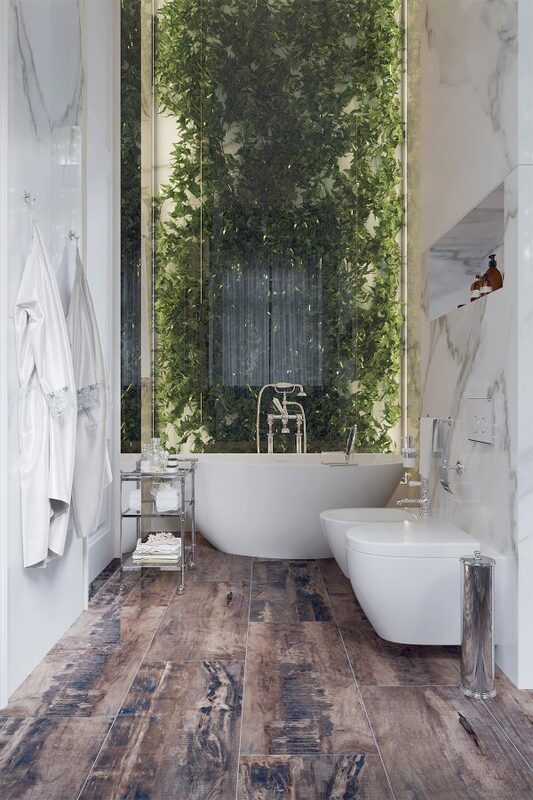 Even if you’re not lucky enough to have a bathroom picture window to a private garden, you could place a tree mural behind your bathtub. This unique nature themed feature wall is a tile design that shows small sections of tree. Set the mood with lighting. Forget harsh overhead lighting when it’s time to sink beneath the bubbles. 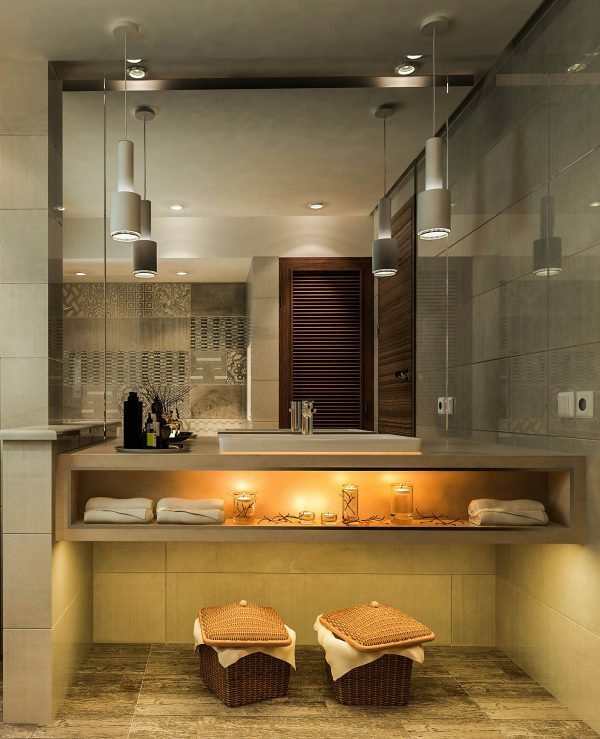 When it comes to relaxation, soft glowing lamps are where it’s at. Hot bath, book in hand, coffee. Bliss. Get creative with plants. 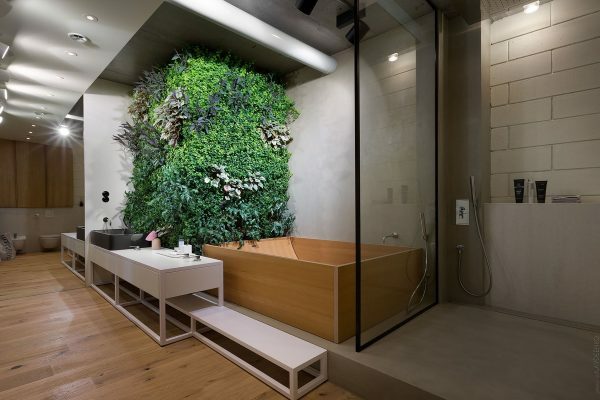 The owner of this bathroom must really love plants. Things may get a bit tickly in that crowded shower enclosure. Vanity countertops should be both practical and beautiful. 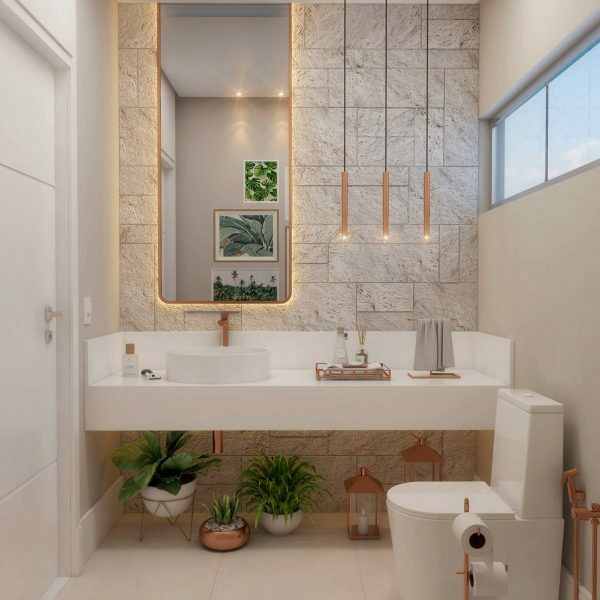 When filling your vanity top with soap dispensers and the like, consider adding in a decorative vase for an elegant finishing touch. 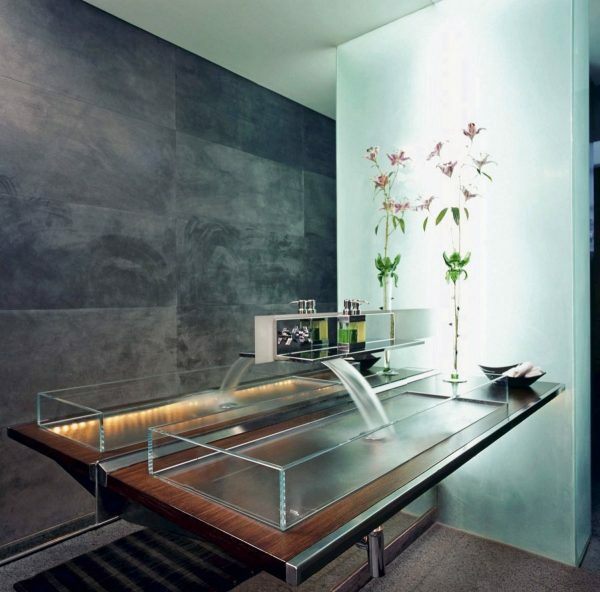 A bonsai tree grows directly out of this vanity countertop. 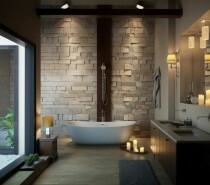 Suspend lighting over the tub. 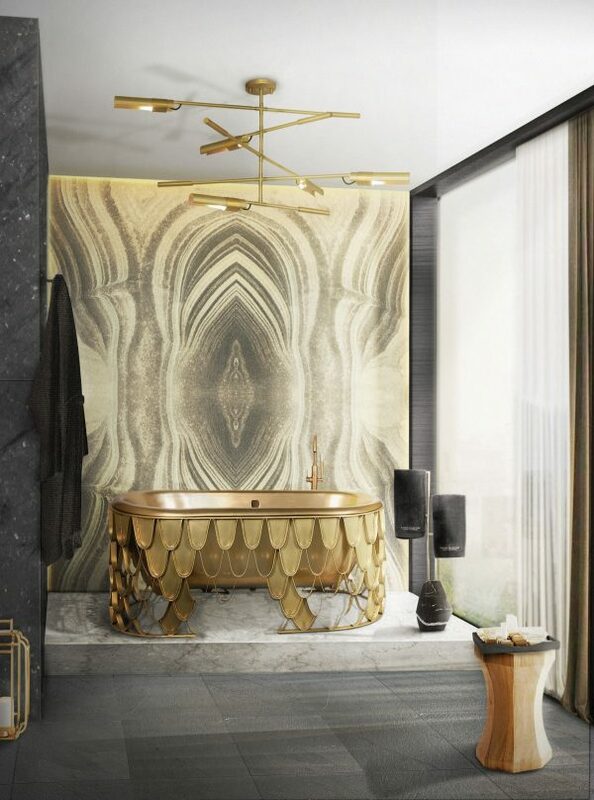 Nothing else has quite the same decadence in a bathroom like a piece of statement lighting suspended over a freestanding bathtub; be it a sparkling chandelier or shining globe pendant lights. Zone with different flooring materials. The border to this wet zone is accentuated by a geometric section of wood flooring, which continues upward as bathroom TV wall decor. Bring walls to life. Another way to bring the outdoors inside is to create a vertical garden wall. Create a courtyard. 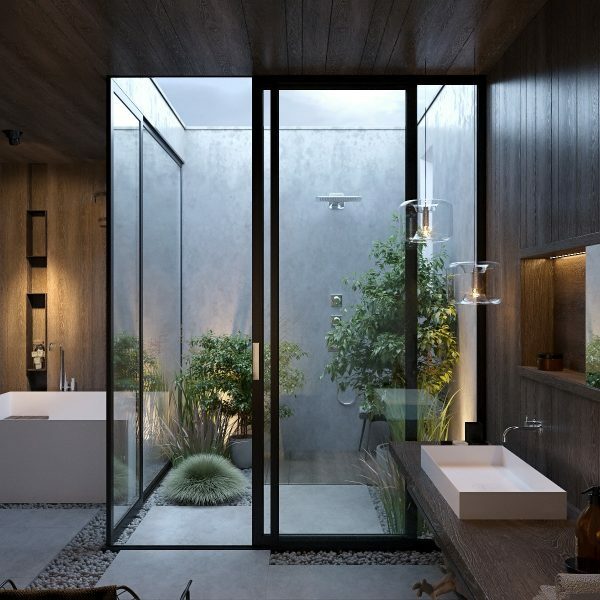 If your garden is overlooked you may be feeling a little shy about installing a clear bathroom window to take in the view! Consider building a privacy wall outside the window and craft a mini garden within its confines. Make it his and hers. We’ve all seen twin vanity units but how about twin bathtubs? Patricia Urquiola created this for the Hangrohe Axor brand as a departure from traditional norms. Her charming collection is characterized by flowing transitions and curves. 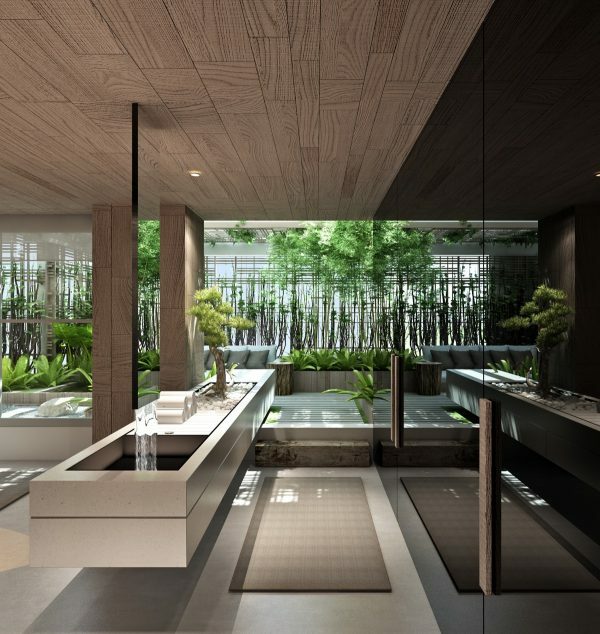 An abundance of indoor plants add in natural pattern and texture. 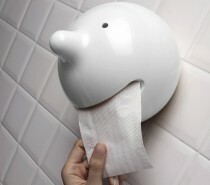 Introduce softness to your bathroom scheme. 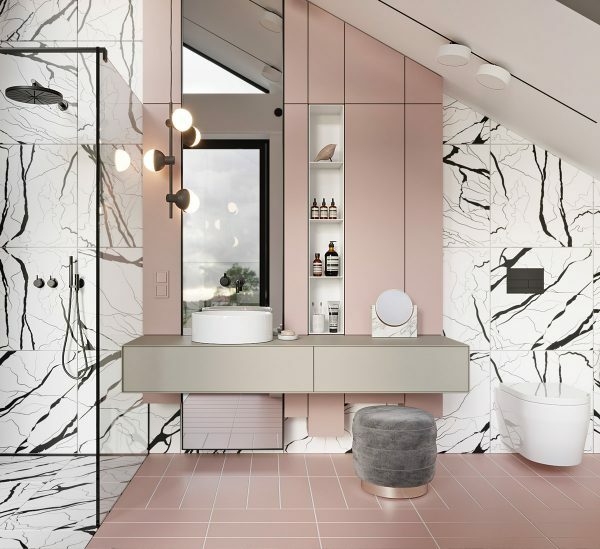 Jean-Marie Massaud, another star designer for Hansgrohe Axor, added in smooth pebble poufs to break away from a bathroom’s typically hard surfaces. Layer a bathtub in front of a shower unit. 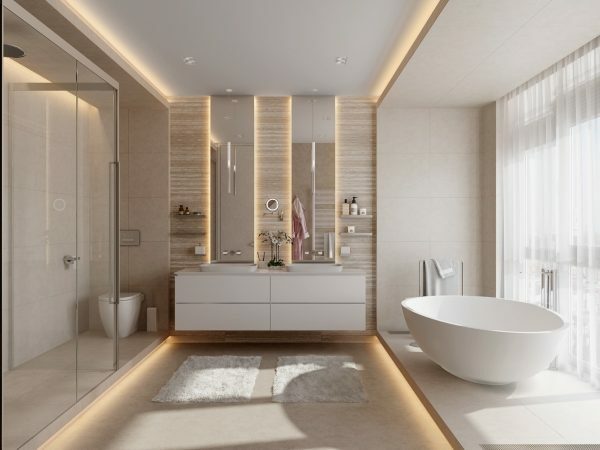 When tackling the challenge of rearranging a bathroom, the layout can be restricted by window placements and deciding whether the longest wall should be awarded to the bath or a spacious shower unit. 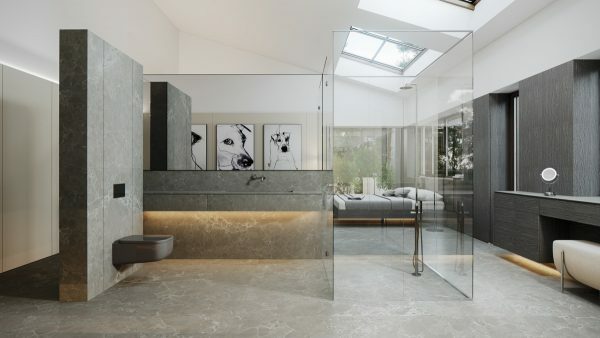 Why not have it all by layering a tub in front of a shower screen? 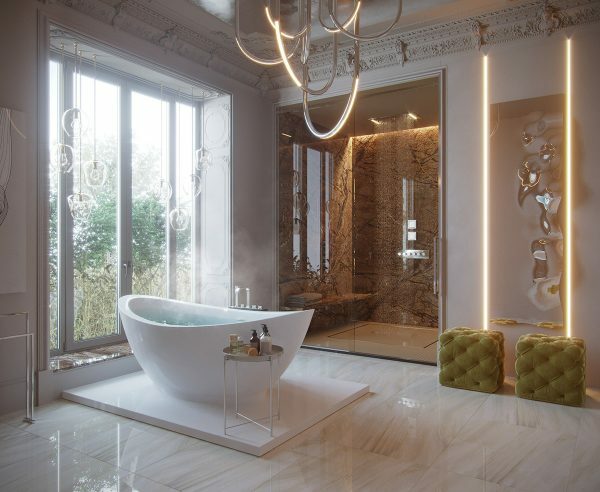 This modern chandelier helps visually anchor the tub in its central spot. 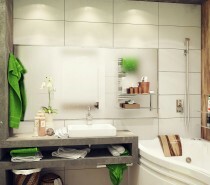 Change bathroom colours to suit your mood. 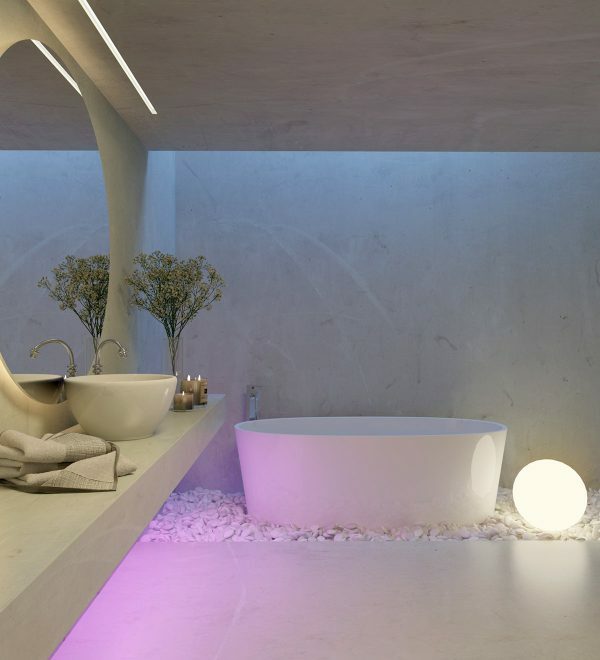 Colour changing LEDs enable you to swap out your bathroom colour scheme at the touch of a button; they can even cycle through the entire rainbow all by themselves whilst you relax in the tub. Install a sunken bath. 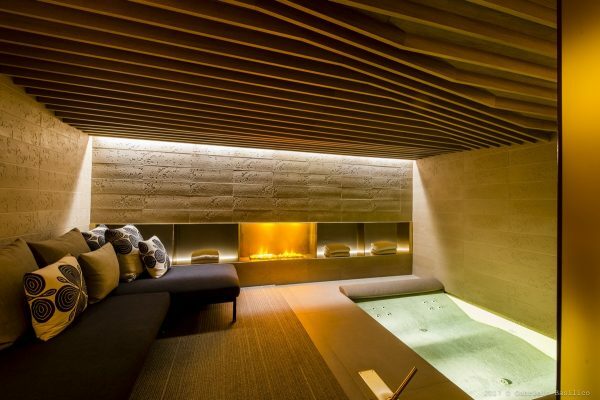 Take inspiration from the Four Seasons spa room, in Milan. 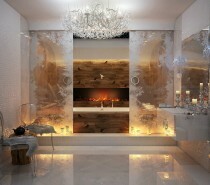 Cosy up with a bathroom fireplace. A roaring open fire and a bubble bath? Oh yes, please. 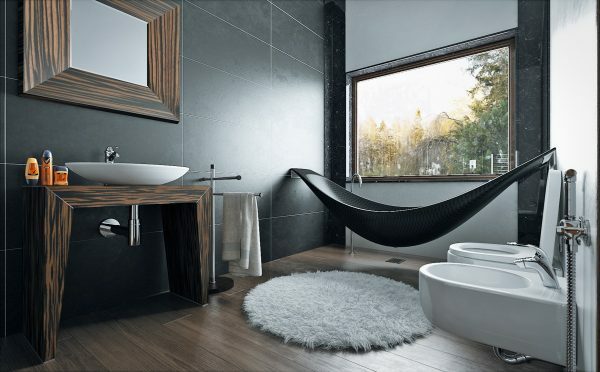 Don’t be afraid of colourful bathroom furniture. 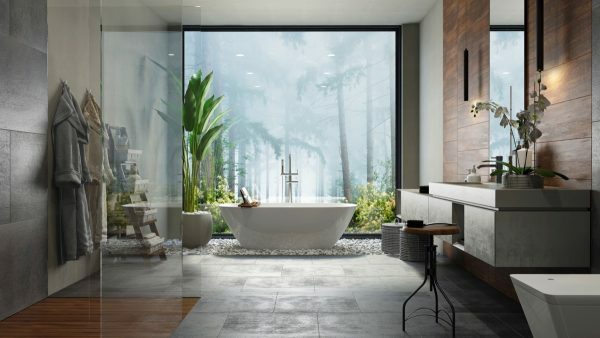 Bathroom furniture has become colour shy in recent years, but it’s not against the law to make a departure from all that is neutral. Try changing out white cupboard doors for something with more personality; you could choose floor tiles to carry the new colour underfoot too. Do balance out your gorgeous new accents with some softer pieces too though, like this grey unit and vanity stool. Colour with copper. 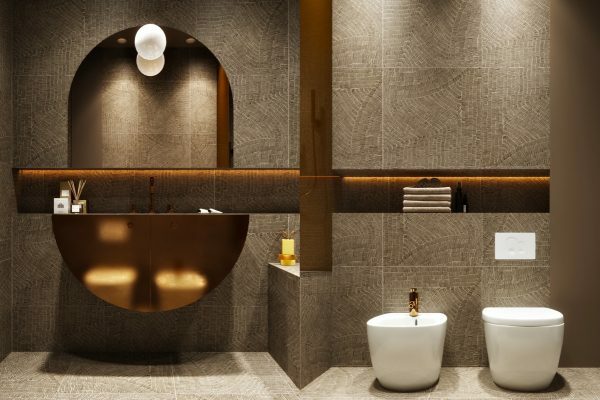 Copper accessories can be sourced for every single room of the house now, and look equally spectacular in the bathroom. Bring in this trendy metallic via a mirror frame, candle holders, lighting, faucets and planters. Make it a double. 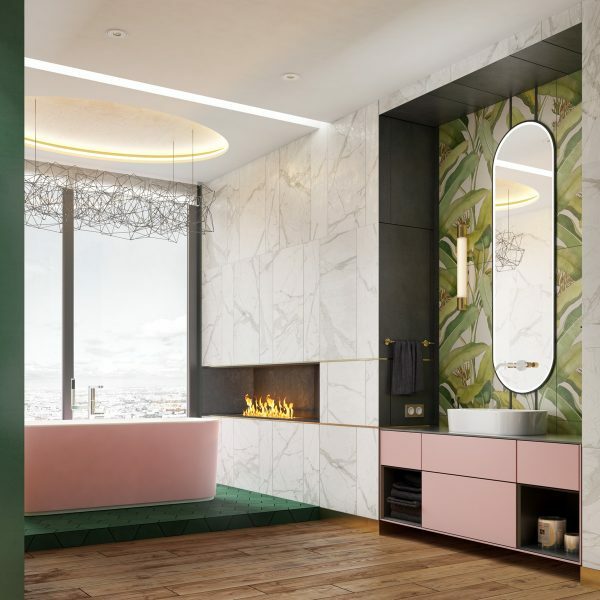 A twin vanity unit can be accessorised with a single large mirror, though doubling up mirrors and modern wall sconces certainly draws more attention to the luxury of having two individual wash zones. Lighting around this double sink bathroom vanity shines from around the mirror frames themselves. Sharpen up. 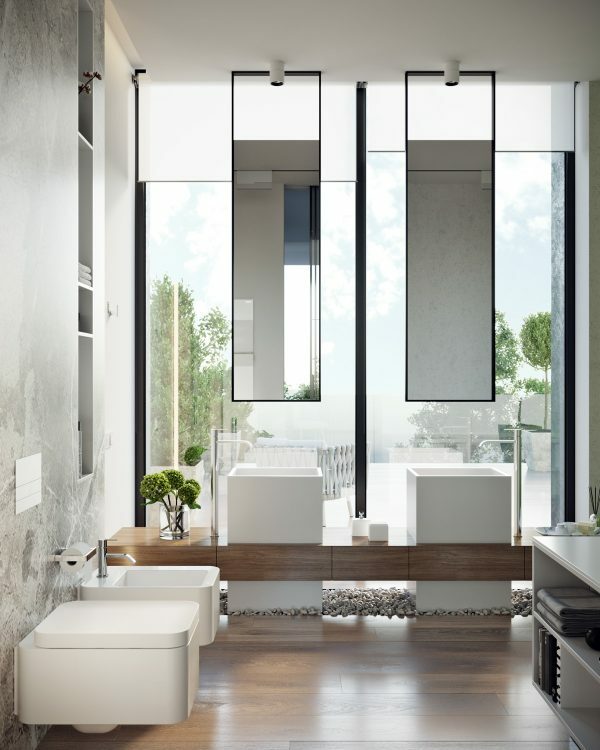 Create a high end minimalist bathroom by selecting crisp linear pieces. Warm up with wooden accents. 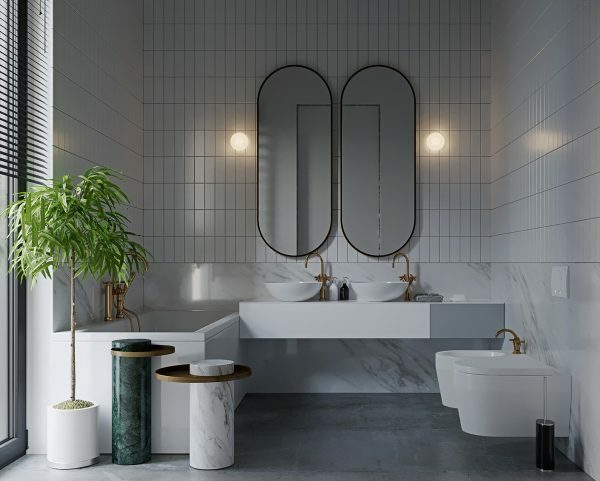 If an all white bathroom scheme feels a little cold, just a few wooden accent pieces can go a long way in visually warming the room. Dark wooden decor creates a sumptuous look; flickering tea light holders enrich the theme. 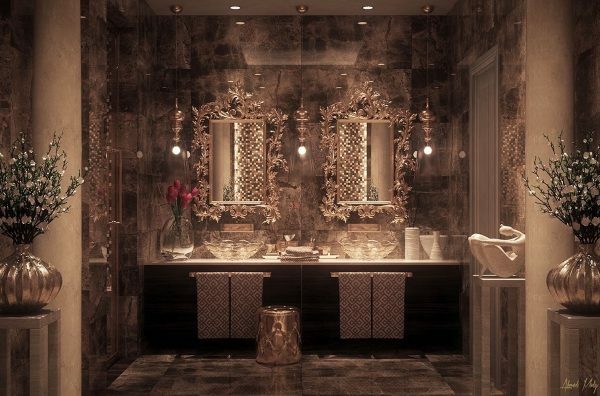 Candles are a go to accessory for any bathroom scheme, be it minimalistic or seductive. Make a plain basin look special with a unique faucet. Ok, so this basin is anything but boring. However, the waterfall faucet certainly does add to its splendour. Let’s say it though, unique sinks stake their own place in a bathroom, with or without the help of an unusual faucet. Light up your love of concrete. 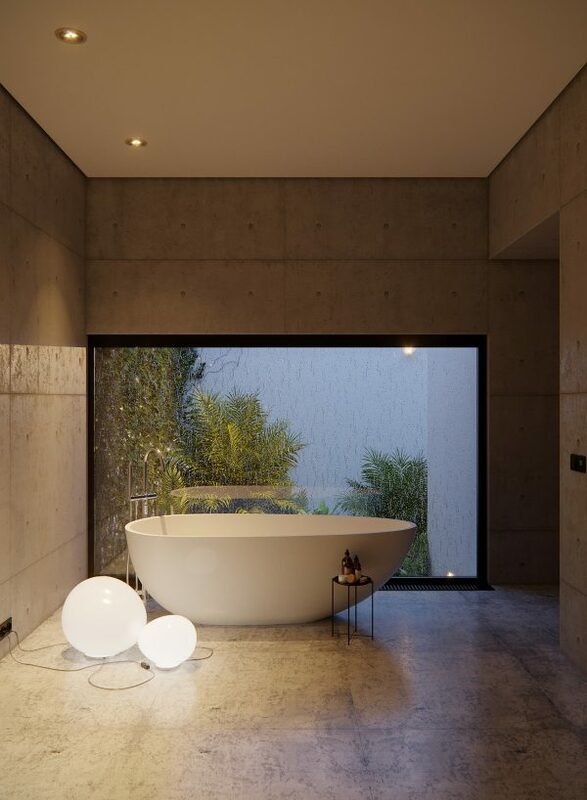 Concrete bathrooms are a cool trend, but do add in some warming lighting to keep the look inviting. 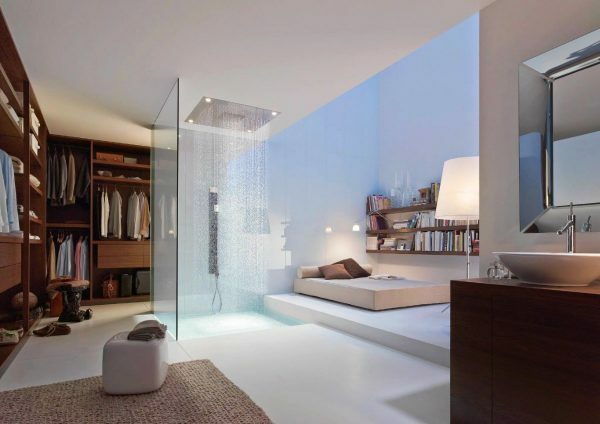 Forget walls and doors, have a floating bathroom. A sprawling master suite doesn’t have to be divided into a bedroom, a dressing room and a bathroom. 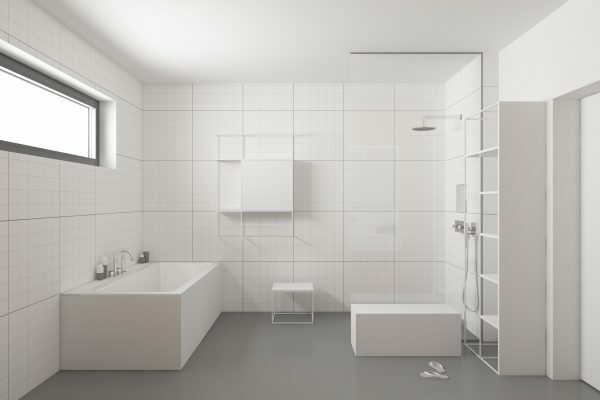 This design implements only partially dividing walls to house essential plumbing. The shower surround is almost completely invisible. 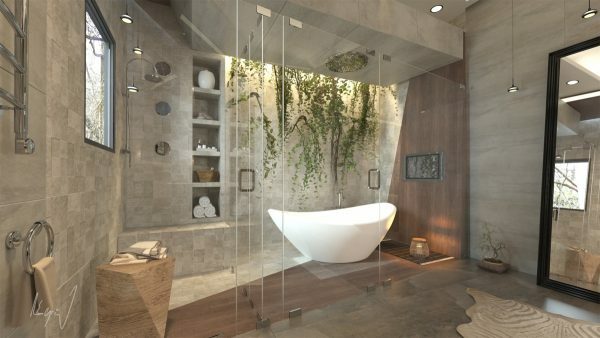 Design a bathroom as you would a living space. 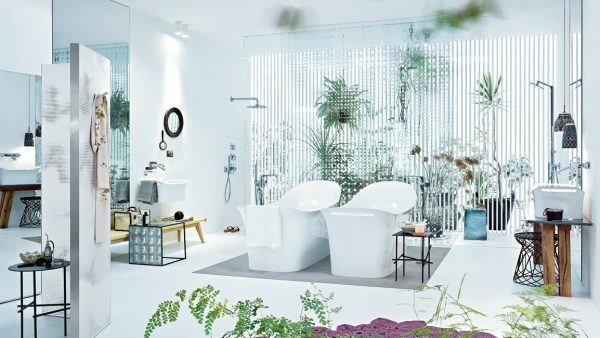 Philippe Starck, another star designer for the Hansgrohe Axor brand, sparked a bathroom revolution that saw this room of mere hygienic functionality turned into a new personal retreat. 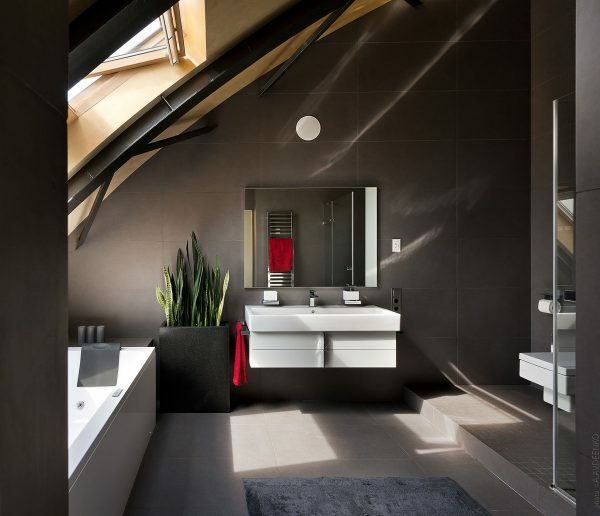 The bathroom became an extension of living space in the home – a crumbling boundary that continues to be pushed. 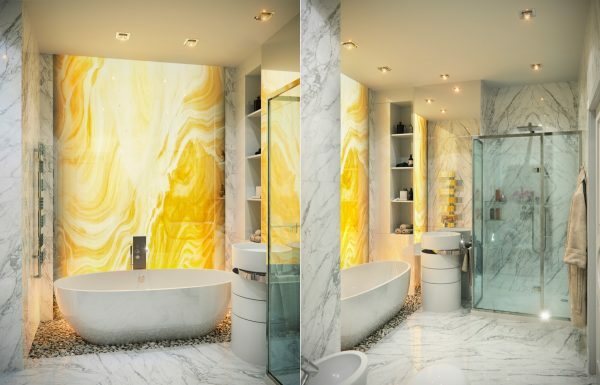 Marble finishes look marvellous. 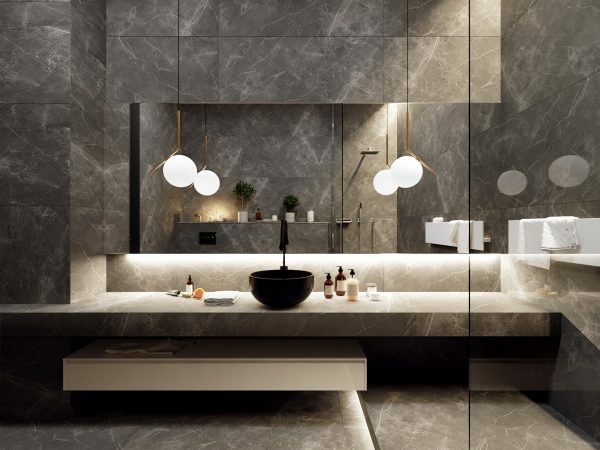 Marble decor has spanned the ages, and marble wall tiles, flooring, bathtubs and vanities will always have a place in bathroom design. Light up the look of this elegantly veined material with beautiful IC Lights S Pendant like the IC Lights S Pendant. A cheaper replica of this is available here. Tiny contrasts can cut through a bland scheme. 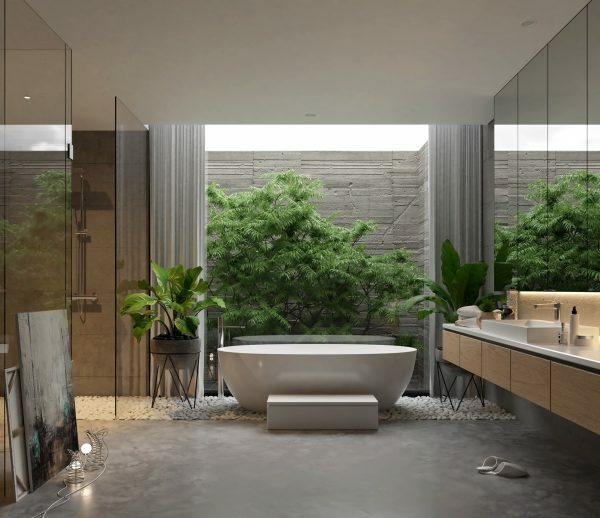 This plain grey and white minimalist bathroom receives a lift from a couple of strawberry red towels, which pay bright contrast to the green of a flourishing Snake plant. Love nature – not just in decor. 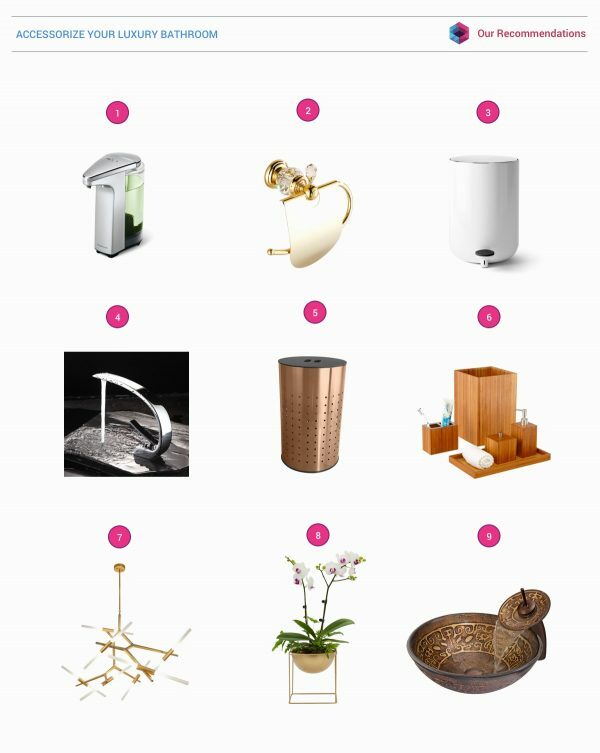 Notice how the unique trash cans actually represent recyclable and non recyclable, assisting with responsible waste disposal to keep our planet healthy. Set feature walls aglow. This backlit mirror sends out subtle illumination over a wooden vanity wall. Add a table next to a freestanding bath. You don’t want to be hanging over the side of the tub to reach for your bathtime potions. Choose an elegant table to house a pretty display of soap and lotion dispensers. Mosaics aren’t just bathroom border tiles. Use a mosaic tile in its intended form, as eye-catching artwork. Evoke grandeur with ornate accessories. 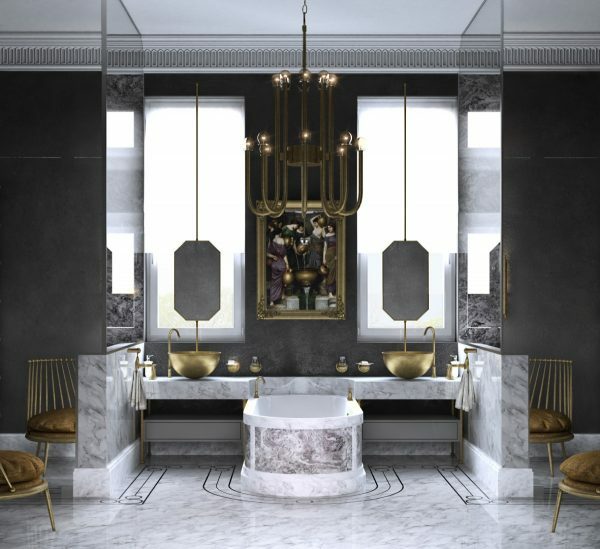 Luxury hotel bathrooms are often filled with ornate mirrors and sculpture that can be translated into our very own luxury home bathroom. Highlight furniture fretwork. 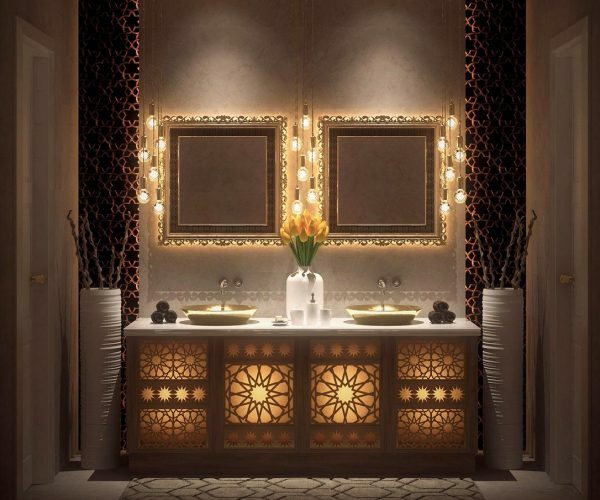 If your furniture or mirror frames are blessed with intricate fretwork, new backlighting could be all that’s needed to make your bathroom a standout space. Is it the vertical garden or the spectacular pendant light that’s the focal point of this decor? Well, nobody said you were only allowed one hero piece. 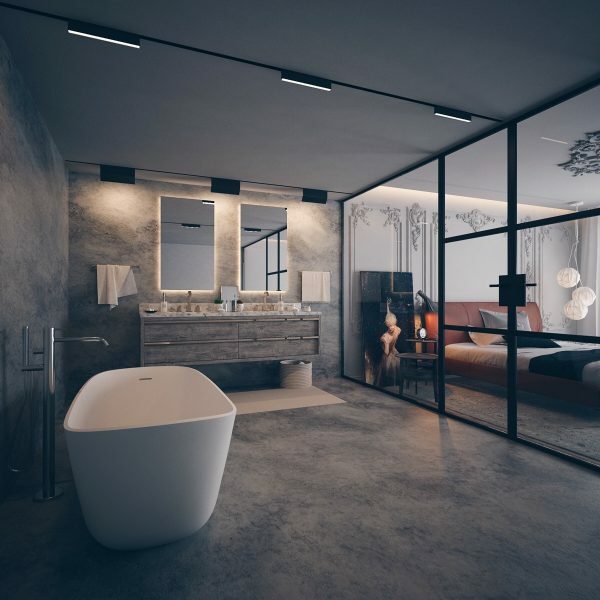 The hero of this room is most certainly the imposing art mural, softly lit by small bathroom pendant lights at one side and a floor lamp at the other. Bathroom window shutters suit traditional and modern decor alike. This eclectic minimalist bathroom, influenced by Wabi-Sabi, uses shutters to add a spike of classic French-Italian flavour. 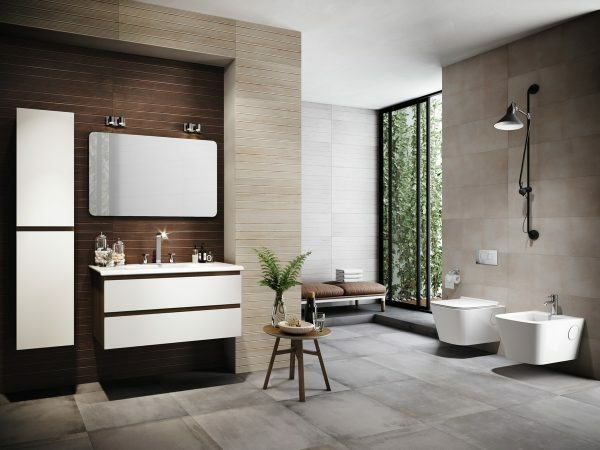 Curate a rustic bathroom scheme by selecting highly textured, natural elements. 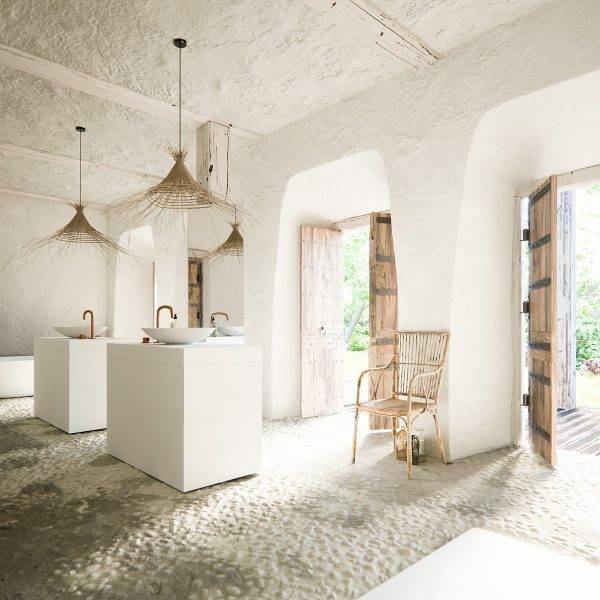 Team the rustic pieces with some modern furniture to keep the look current, like these sleek sinks from By Coccoon. Play up to lofty proportions. 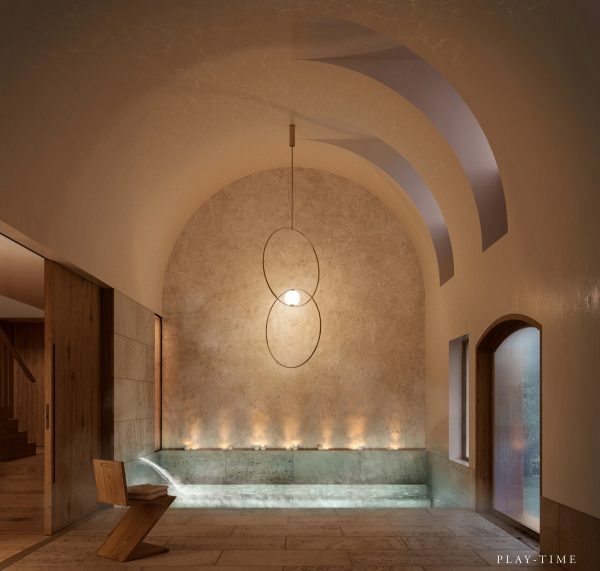 This vaulted ceiling looks even taller thanks to a low sunken bathtub and an elongated pendant light. Marble can be colourful too. Check out this molten yellow wet wall. Set the stage. 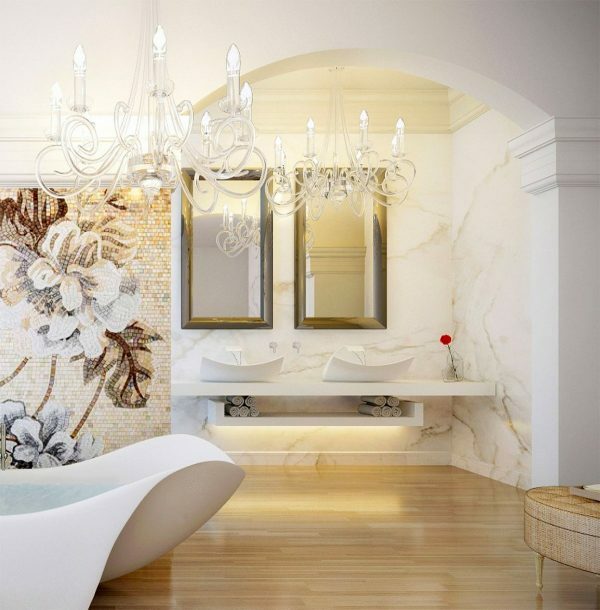 A show stopping Koi bathtub is set on a raised platform, which gives the piece the prominence it deserves. It also houses all of the not so glamorous pipework too. 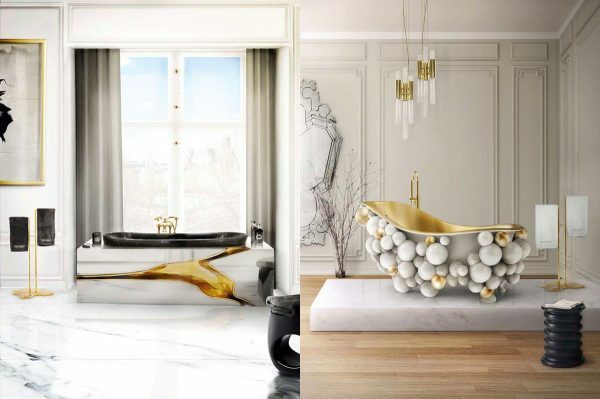 More stunning bathtubs from Maison Valentina. 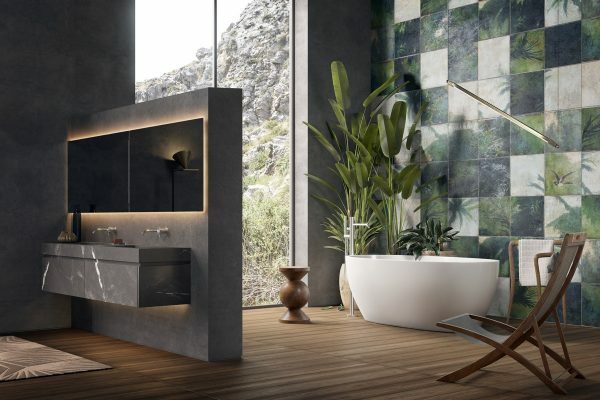 A unique vanity can transform a small bathroom. Decorative floor edging draws attention to a beautiful layout.